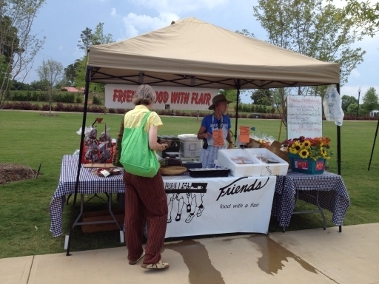 We will be at the Clemson Farmers Market Friday, April 5th from 3:30 – 6:30 (the green in front of the Patrick Square Office on Issaqueena Trail) I will be doing a cooking demo and Val will be selling our goods. Come out and see us, shop, sample some goodies. There will be music as well.